NEW YORK -- In an ongoing trend, cigars and smokeless tobacco are growing in dollar sales, according to New York-based data firm Nielsen. As reported by Wells Fargo Securities, New York, dollar sales of cigars exhibited a “solid” 11.5% growth over a four-week period ending Feb. 24 compared to the same time frame a year earlier. John Middleton Co., a subsidiary of Richmond, Va.-based Altria Group Distribution Co., led the category with a 5% increase in volume on an 8.3% increase in pricing. In smokeless tobacco, dollar sales overall for the all-channel data saw a 2.5% growth over the four-week period ending Feb. 24, “reflecting continued consumer loyalty in the category,” Wells Fargo reported. 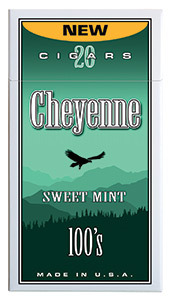 In separate tobacco news, Grover, N.C.-based Cheyenne International announced the release of its Cheyenne Sweet Mint Cigar in March. Debuting at the Convenience Distribution Marketplace gathering held Feb. 26-28 in Orlando, Fla., the product generated “excitement and interest” from buyers, the company said. Created from a blend of cigar tobacco, Sweet Mint balances a mint taste and with a touch of sweetness, the company said. Cheyenne Sweet Mint Cigars are available in 20-cigar hard packs and will begin shipping in second-quarter 2018, the company said.